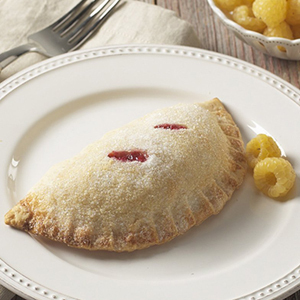 Pocket pies are good at a buffet, as a snack, and by any meal. Kids love them. Think fruit, PB&J, or tomato sauce and cheese. The steps are simple: Roll your dough, put in the open crimper, add your filling, crimp the dough closed and bake it. Measurements open are 10.75 inch handle end to handle end, 4.3 inch inner diameter, 5.75 inch outer diameter. Measurements folded are 5.5 inch x 6.75 inch x 2.3 inch high. Best empanada maker! 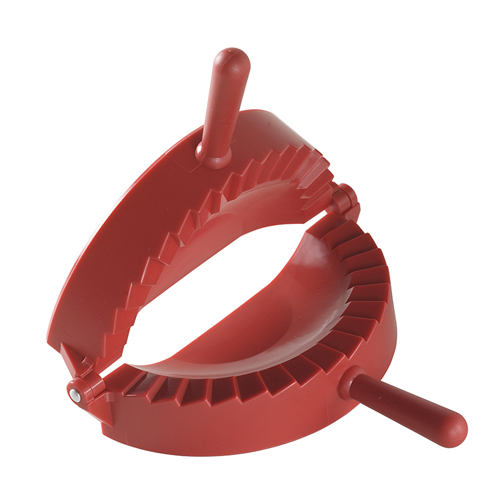 I literally made 30 empanadas in under an hour Friday and everything because of this little tool. It is awesome. I highly recommend it. pie crimper It didn't work like I expected. .Does not crimp very good. Better than I anticipated I was very pleased to receive this product on time just as promised. Although I should have purchased the larger dough press, I was able to use the cutter to make the dough small enough to fit into the press. Whew! This product performs just as advertised.